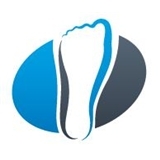 Advanced Care Foot and Ankle (Warren) - Book Appointment Online! One of those rare doctors you look forward to seeing. His advice was well stated and well received. Very, VERY happy with this doctor and staff.